Trauma can be defined as a deeply distressing or disturbing experience in one’s past, which can affect one’s worldview. 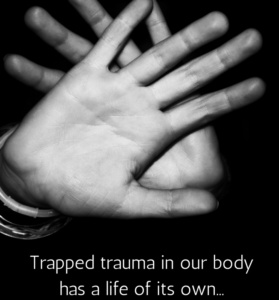 However, do not let your trauma define who you are and how you interpret hurt in relationships. I’ve noticed when discussing trauma with others that there are some preconceived thoughts about what trauma is and how it impacts an individual. It is important to remember that trauma affects everyone differently. We must also have empathy for a person’s lived experience. Furthermore, it is important that we explore our past experiences and not minimize its impact and how it influences the way we connect emotionally to others.This connection is called attachment. Attachment simply means how easily we connect and trust others. Our first experience of relationships sets the foundation for how we see the world. Your very first relationship was with your primary caregiver(s). This relationships started before you entered the world and was influenced by many factors. Let’s take a look at some of the risks that may affect our attachment style. Can be for reasons including medical problems, drugs/alcohol use, crisis or other trauma. Can be due to persistent, high level of stress throughout pregnancy. A difficult or traumatic birth is risky for many reasons (e.g., perhaps the newborn was briefly without oxygen, leading to mild neurological insult). Children who experience early hospitalization often experience painful touch rather than nurturing, comforting touch in the first days of life. 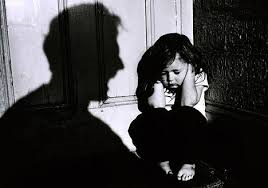 Children from abusive backgrounds know to always be on guard. Their brains have been trained to be hyper-vigilant to the environment around them. Children from neglectful backgrounds often suffer from the most severe behavioral problems and developmental deficits. 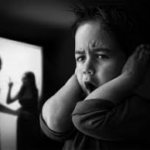 Any number of traumas in the child’s life (witnessing an extreme event, for example) can cause the child’s developmental trajectory to change in response. Unfortunately, a person can have a stress free pregnancy and birth but experience a traumatic event before their brain fully matures which may affect their ability to navigate relationships thereafter. There are other ways in which one’s attachment style can become insecure. It is important to remember that our parents did the best they could; however, they also have an attachment style that was influenced by their parents which impacted their parenting approach. If a parent experiences a situation that affects their ability to be fully present for their child such as a death of a parent or loss of a job, then it is possible that their parenting style may negatively impact their child’s attachment style. Your childhood, previous romantic relationships, positive and negative significant people and events in your life all come together to shape your worldview. It affects your ability to connect and trust, your self-worth, and your ability to use your voice to meet your needs (self-efficacy). If your caregiver consistently and genuinely met ALL of your emotional and basic needs, and if you received effective interventions for any trauma that may have arose in your life,then you will likely develop a secure attachment style. If for some reason your emotional and physical needs were not met, then you will likely develop an insecure attachment style. How does my attachment style affect my relationships? If we don’t have a secure view of relationships then it affects the way we trust and the way we perceive other people’s actions. If our partner has a secure attachment style then he/she can see the underlying (primary) emotions under our displayed (secondary) emotions more easily. He/she will be able to demonstrate more patience and will be able to interpret your actions differently. However, if my trigger (raw spot) touches your triggers (raw spots), then we create an unhealthy cycle where we defend and attack. Exploring your attachment style will allow you to communicate more effectively. You will be able to make the choice of putting down your armor because there will be no need to protect yourself against your partner. You will be able to lean into your partner and trust in yourself and your relationship. You will learn how to use your voice to ask for what you need, and how to meet your partner’s needs. When you are triggered, ask yourself…Is this bigger than me/my partner or this situation? Is there something deeper? Is my partner responding to what I really feel? If your partner is triggered you can also ask, is this bigger than me? Is my partner’s actions what they really feel? If you find yourself responding and your partner’s anger is escalating then perhaps you are listening to respond, rather than listening to what your partner needs. Have you considered how your previous relationships affected your lens (perspective)? Have you repaired past hurts from previous relationships? 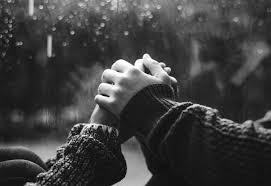 Find someone you trust to listen to your experiences about your first attachment experiences (family of origin) and ask, how is this impacting me now? Remember that you’re doing the best you can. Your parents were doing the best they could and, our brains can be rewired. Don’t let your trauma or life experiences define who you are now or who you want to be. Previously: Why are relationships so hard?